"No tax is worth putting the nation's unity in danger," he said. The prime minister also spoke of the protesters. He said that the French who have worn yellow vests "want taxes to drop, and work to pay." 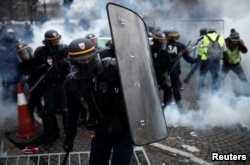 The demonstrations started on November 17 in Paris. 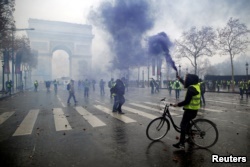 Protesters wore yellow traffic vests that French drivers are required to carry in their vehicles. 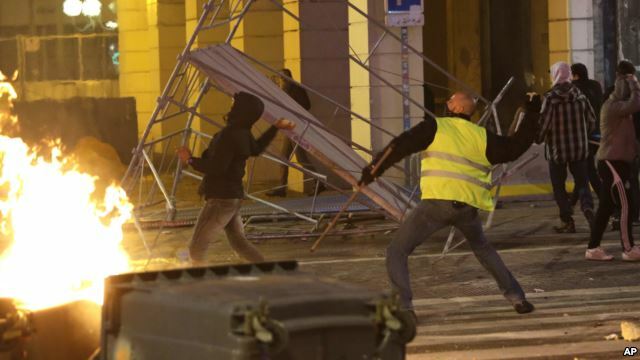 Since then, the "yellow vest" protests have developed into a movement against Macron. Macron is a 40-year-old former investment banker and economy minister. He has promised to reform France's economy and increase economic growth. However, his policies have angered many French citizens who say he does not care about most of the people. The yellow vest protesters have called him "president of the rich." Macron has said he will "never accept violence." However, reports say he has urged Philippe to ease tensions and meet with protest groups.